For attorneys and litigants alike, the legal fees attendant to the handling of a divorce matter are an important consideration. When it comes to legal fees, time is money. Because our Rules of Court prohibit the handling of divorce cases on a contingent fee basis, legal services are billed based upon the actual time spent working on the case at an hourly rate and charged against an initial retainer amount to be paid by the client. When prospective client asks how much in legal fees the divorce will cost, I explain that there are too many variables to give a precise estimate, including the number and complexity of the issues involved, the level to which those issues are contested, the reasonableness of the other spouse and/or attorney in regards to their positions, cooperation and/or course of conduct during the process, and the extent litigation or court involvement is needed to resolve those issues. Several years ago I wrote a blog post suggesting five ways a client might be able to reduce their legal fees in a divorce. However, prospective clients sometimes ask how we come up with the initial retainer fee amount requested to commence their representation in a given case. Candidly, I have found that there is no set formula or uniform approach upon which a given attorney or law firm will quote an initial retainer amount to a prospective client, and that is true with this firm. However, as with the overall legal fees that might be incurred in a given case, I explain that there are a number of variables which bear upon the amount of an initial retainer. This blog post will address some of them. First, it is important to discuss what an initial retainer is not. From the outset a prospective client must not be given the impression that the amount of an initial retainer represents the actual or full amount of legal fees their case will cost. If fee disputes arise, this is often a common refrain clients make. 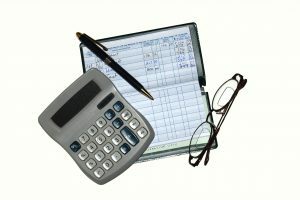 At the outset, the attorney must make clear to the client that the amount being requested for an initial retainer is just a baseline amount to commence representation in the matter, an amount sufficient to cover a core level of anticipated legal services based upon the attorney or firm’s hourly rates. The client must understand that the total legal fees may likely be more, depending upon the variables noted above and the facts and circumstances of their case. That should be reflected in writing, preferably in the Retainer Agreement itself to be entered into between the attorney and client as mandated by Rule 5:3-5(a). Nor should a retainer amount be driven by an emotional reaction to a client or his/her circumstances. Both the attorney and client must recognize that they are still entering into a professional business relationship, and the financial terms of that relationship should be determined accordingly. Again, what goes into setting a retainer fee varies from attorney to attorney or firm to firm. Some attorneys have established fixed retainer amounts for given types of cases and stick to those amounts – a retainer to handle a divorce is such and such. Some may have established fixed retainer amounts depending upon whether certain issues are involved. Obviously, the amount of a retainer fee will also depend upon the hourly rates of the attorney(s) handling the matter – the higher the hourly rates, the larger the retainer necessary to cover a baseline amount of legal services. For some attorneys, the retainer fee may simply be a multiple of their hourly rates times a baseline number of hours. The number of hours may reflect an attorney’s estimate of the minimum amount of legal services a case may take if everything – and I mean everything – went perfectly. In many instances, other variables come into play in coming up with an initial retainer amount in a given case. Does the prospective client present an emergent set of circumstances – domestic violence, child-related, financial – that might necessitate a significant amount of work to be done within a short amount of time. An Order to Show Cause for example. A higher retainer would generally be in order to secure those legal services necessary to address this situation. Whether emergent or not, the existence of certain types of issues by their very nature (i.e. custody, business valuation, relocation) lend themselves to being contested. The requested retainer may be adjusted upwards accordingly. Sometimes how a client presents themselves during an initial conference may impact upon a quoted retainer fee. If a client has realistic expectations and appears not driven by emotion (and hopefully a sense that his or her spouse may share the same attitude), there is a greater likelihood a matter may be resolved in short order, possibly calling for a more conservative retainer amount. The same may be true if a prospective client comes to an initial conference well organized, perhaps already compiling relevant documents and/or summaries, financial or otherwise, increasing the likelihood that the client will be more proactive in the preparation of their own case and thereby lessening the work the attorney may need to perform in order to do so. On the other hand, if a prospective client presents themselves as very disorganized, emotionally driven, and likely to need or want frequent communication throughout the case, a higher retainer may be warranted to reflect the likelihood of higher fees being incurred during that representation. Ultimately, coming up with an initial retainer may be more of an art than a science, drawing upon years of experience and weighing a multitude of factors in arriving at an appropriate amount in each given case.